Donald “Geno” E. Hazlett, 85, of Fremont, OH passed away Sunday, August 6, 2017 at the Ohio Veterans Home in Sandusky, OH. He was born February 21, 1932 in Catlettsburg, KY to Donald R. and Ruby (Gray) Hazlett. 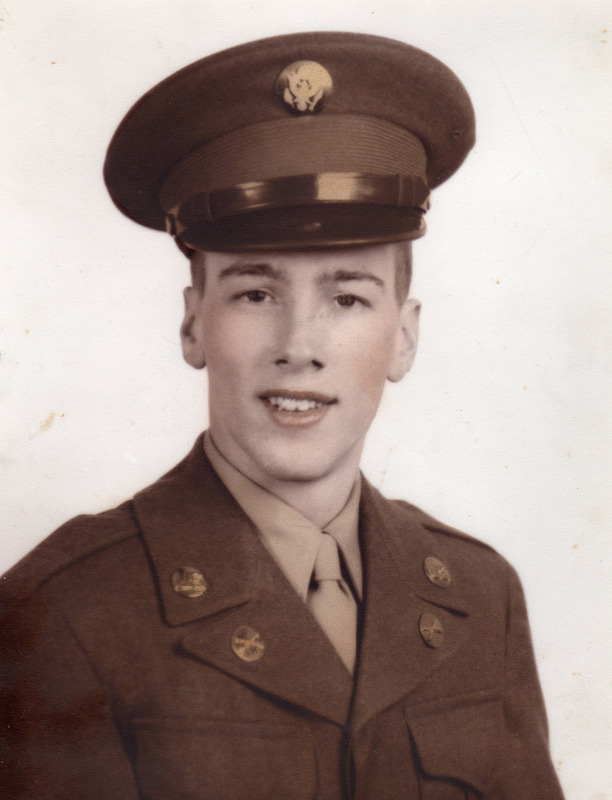 Donald served in the US Army during the Korean War from January 13, 1949 to June 12, 1952 where he was awarded the Army of Occupation Medal, Combat Infantryman Badge, Presidential Unit Citation, Purple Heart Medal, Korean Service Medal with Five Bronze Stars and the United Nation Service Medal. He later joined the US Navy from June 3, 1958 to March 29, 1962 and was awarded the Good Conduct Medal. Donald married Mary Young on July 29, 1953 in Fremont, OH and she preceded him in death on May 1, 2009. He worked for Whirlpool as a Press Operator and had over thirty-two years of service there, retiring on April 1, 1994. Donald was a member of the Clyde VFW and Moose along with the American Legion in Green Springs, OH. He enjoyed woodworking, yard work, riding his Harley Davidson and spending time with his grandchildren. Donald is survived by his children, Robert (Tina) Hazlett, Brimley, MI, Gina Ruiz, Clyde, OH, Patrick (Jana) Hazlett, League City, TX, Jeffrey Hazlett, Fremont, OH; thirteen grandchildren, nine great grandchildren and one great-great grandchild. He was preceded in death by his parents; wife, Mary Hazlett; brother, Jack Hazlett and sister Belva Hazlett. Visitation: Thursday from 2 to 4 p.m. and 6 to 8 p.m. at Wonderly Horvath Hanes Funeral Home & Crematory, 425 E. State St, Fremont, OH. Service: Friday, August 11, 2017, 10:30 a.m. at the funeral home with a visitation one hour prior to the service at the funeral home with Pastor Dan Vickey officiating. Burial: Greenlawn Memory Gardens, Clyde, OH with Military Honors provided by the American Legion and VFW. Memorials can be made in Donald’s honor to Ohio Veterans Home, 3416 Columbus Ave, Sandusky, OH 44870. So sorry for your loss Gena. So sorry to hear of Geno’s passing.. I loved waiting on him at Whitey’s.He was such a nice man,and hearing he loved to ride makes him even “cooler” in my eyes…my sincere condolences to his familyRest in peace,Geno. So sorry for your loss. We lived down by your parents on fine frock rd. My thoughts and prayers are with you all. ..
May God’s promises found at Acts 24:15 and Psalms 37:29 bring comfort to you and your family during this difficult time. Jeff and family !! we are so sorry for your loss !! we are praying that your family can get through this tough witch we know isnt easy !! just remember he will always be with you in your heart and memories !! Deepest condolences to you and family on the loss of your father. As a “two-wheeler” myself ever since I could remember, I knew the rumble of his Harley well as he turned my head every time he passed by our house on Finefrock. His military service is greatly appreciated. Cherish the memories as he lives on in the hearts and minds of those who knew him. We are so sad to hear the loss of your father. Our thoughts and prayers are with you and rest of your family at this difficult time. It’s our sincere prayer that God Almighty comfort and console all the grieving hearts with heavenly peace. My condolences on the passing of your father. You and your family are in my thoughts and prayers. May your father rest in peace. Our deepest condolences on your loss. Your dad was clearly blessed with a full life and a wonderful family. My sincerest condolences to you all. May God comfort you all during this difficult time. Gina, You and your Family have my Heartfelt Sympathy. Even though I have never met your Father I know what a Great man he was just by the Loving way you always spoke of him. I know how much you Loved him. The sparkle in your eyes when you talked about him showed how Proud you were to be his Daughter. May GOD BLESS You and Yours and Comfort You with his PEACE on your journey ahead. The Fond and Loving Memories you shared will last a Lifetime. Our sincere condolences to you and your family!The Lord be with you.